The normal day in our office always includes taking many impressions on our patients. Today is a different day for us. 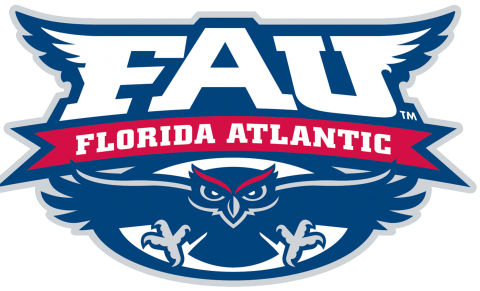 Once a year my team travels to the Oxley Center, the home for FAU football and we take impressions on our favorite team ….all of the new freshman for FAU football 2018. Last year is behind us as we shocked college football by going 11 and 3 under the guidance of Head Football Coach Lane Kiffin. Excitement is all over campus as the new Center for Academic Excellence is being built, portions of the football stadium are being renovated and all of the the team begins summer camp with very high expectations. My office team is very proud to be the team dentist for Florida Atlantic and we take this task very seriously as we fabricate hundreds of mouth guards every year to protect the student athletes while they compete! Custom mouth guards have been show not only to help prevent injury to the teeth and facial areas but also help to reduce the incidence and severity of concussion. I am a Fellow in the Academy for Sports Dentistry so my training is advanced in the area of sports dentistry and medicine. We also enjoy seeing all of the athletes not just when they compete but as they grow up and mature during their time at FAU. I still see many of the students that were on the first teams all the way back to the 2000’s as they all remain a part of my life. Yesterday was the final scrimmage for the 2018 team and preparations start Monday as the team practices to play our first game against the 5th ranked team the Oklahoma Sooners. I try to attend as many practices as my schedule allows. All of the team, players, trainers, doctors, coaches and support staff get very close and our football family gets ready for our first road game next week. Our team is always in the news with our many talented players and our outstanding Head Coach Lane Kiffin. I have been very fortunate to get to know Lane over the time he has been in Boca. He is not only a great coach that works incredibly hard but he also takes so much interest in all of his players not only to be good players but great human beings. We will board the plane next Friday with the intentions of another magical season!! Still we know it will not be magic but all of the hard work and effort all of the players, coaches and support staff has been doing all year long to get to this point! This as always it is about Winning in Paradise! Football 2018 is about to begin and we are all on the Lane Train! Lets go Owls!